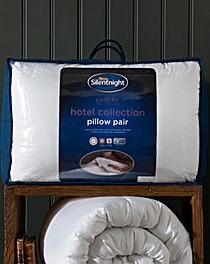 Silentnight Hotel Collection Duvet 10.5 is rated 4.9 out of 5 by 11. Enjoy luxurious comfort with this 10.5 tog premium duvet from Silentnight's Hotel Collection. 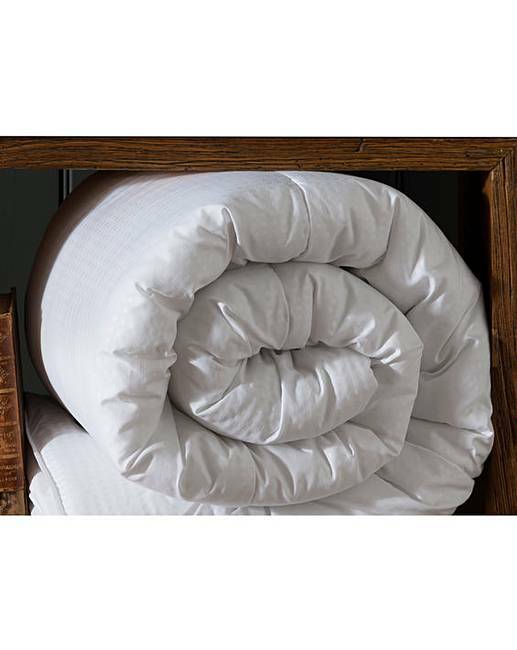 Non-allergenic, the duvet is encased in a super-soft microfibre cover with an attractive embossed pinstripe design and filled with a spring-like fibre. Single: 135 x 198cm. Double: 198 x 198cm. King: 216 x 220cm. Rated 5 out of 5 by Mummystime from Snuggly and Warm Bought for my daughter who has a very cold bedroom, very warm and cosy . Rated 5 out of 5 by dysonr from Great warmth at night I bought this a few weeks ago and I'm so glad I did. I hadn't realised how much my previous 10.5 tog quilt had compacted! It really fills up my quilt cover and is very warm. Rated 5 out of 5 by Lovie from Loveday Very light and nice . I would buy it again just to have a spare one. Rated 4 out of 5 by phil from exactly right What was wanted and is a good, useful well priced product. Rated 5 out of 5 by Aud from Hotel Collection Quilt I am really happy with this quilt. It looks good and feels good.